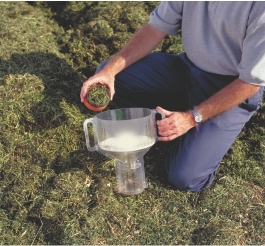 The quality of your forage, your overall feeding program, the management of your farm, and the health of your animals are equally important aspects of successful production. Based on these factors, we have drawn upon our expertise to design the most technologically advanced feeding program available. However, we require additional types of information to assure that we deliver the program for your needs. Different producers have different business objectives. These can be short, medium, or long-term. Objectives may even change as the market evolves. Our dairy consultants can help you design a program that fits the objectives of your farm.